About a week ago my daughter’s teacher and I were chatting when she mentioned that another teacher at the school just made a sweet hummus that she said was really good. She found the recipe on Chocolate Covered Katie whose blog I adore. I decided to give the sweet hummus thing a whirl and came-up with a recipe that I am a bit obsessed with. I have seriously made 5 batches in the last 5 days (some of which was given away, but not much)! 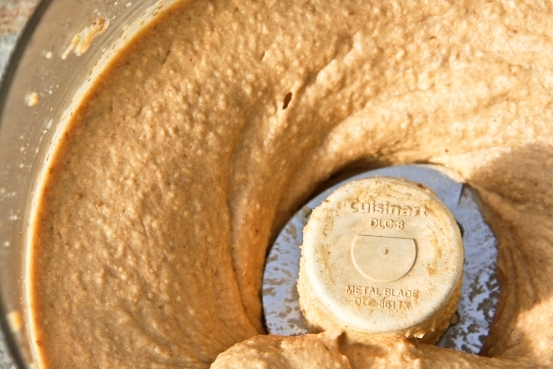 This hummus is free of added salt, oil (just natural peanut butter), and refined sugar. The dates add such a nice sweetness to the hummus without leaving you with the crash and burn that follows a traditional sugar rush. Thanks to the fiber and nutrients in the dates your body will be happy. 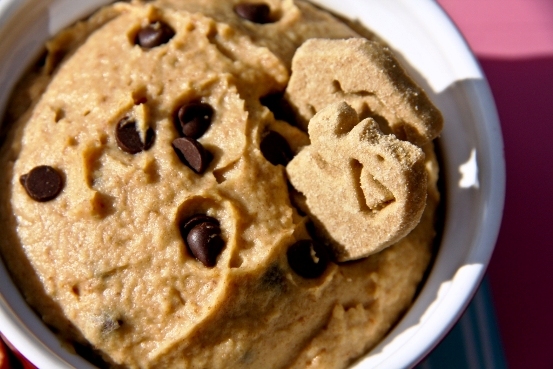 While this may taste like cookie dough, you won’t be able to eat the whole bowl because the chickpeas will fill you up so quickly. My favorite ways to eat the hummus are with either a banana, some sliced apples, or celery spears. This recipe is dedicated to you Nicole! Thanks for the inspiration. Pit the dates and put them into a bowl. Press the dates down into the bowl and cover them with filtered water until they are JUST covered (it is ok if a tiny bit of the dates peak out through the water). Soak the dates in the water for at least 30 minutes. Once the dates have soaked, place all of the ingredients (except the chocolate chips) in the food processor and process for 1-2 minutes. Stop and scrape down the sides with a rubber spatula. Repeat this process a total of three times until the hummus is very smooth. I usually use this time to catch-up on dishes or mail… multi-tasking rules! Note that the hummus will be thinner than you are used to since it is warm from the processing. Rest assured the hummus will firm-up a bit once refrigerated. Pour the hummus into a bowl and mix in the chocolate chips if so desired. That’s it. You are done. Place the completed hummus in the fridge to firm-up. Personally I always have a little serving of the hummus at this point with some apple or banana since I don’t have the patience to wait for it to set. I also prefer to make the hummus without the chocolate chips and keep the plain version in the fridge since I don’t like to have chocolate chips in my dessert hummus if I will be eating it with sliced apples. In general I prefer the hummus without the chocolate chips, so I just mix the chocolate chips in for the kids at serving time. omg! I have to try this! This looks delicious! Thanks for dedicating your blog entry to me…It made my week! See you soon! OMG! I am SO making this! Thanks for sharing! Can’t wait to get off the computer and into the kitchen! I am eating some right now! Hmm. I really don’t know what to make of this. I’m both repulsed and extremely interested. I love the idea of having a protein packed dip for my apples and bananas that aren’t pure peanut butter. I know what you mean. The first time I heard of someone making a dessert hummus I scrunched-up my nose and thought it sounded a little bit icky, but trust me, it’s actually really good. I had been away for a week and come to find several delish looking recipes waiting for me in my inbox! So exciting- it’s like getting presents! What kind of (animal?) crackers are those? They look tasty too. – also I dig the new banner! Hi Dierdre! Thanks for the new banner compliments…Veggie Grettie was due for a facelift. Well, I already put black beans in my brownies so why not some sweetness in my hummus. I am definitely going to have to give this a try. My sentiments exactly. Asians have been using beans in their desserts for ages…it’s time the rest of the world caught on. Fantastic! Considering what a hit my chocolate hummus was, I have no doubt I’d love this sweet version, too. I am going to have to try your chocolate hummus…sounds AMAZING! I am going to have to give this try, I am totally intrigued! OH YES! This will make an appearance at my next Mom’s Night Out! Did you come up with this on your own? I just made it (after drooling over the recipe for more than a week); it is INSANELY good!!!! Thank you so much–amazing! Hi Lex! I was inspired to make a dessert hummus by Katie at Chocolate Covered Katie, but this recipe is my own. I wanted to make a dessert hummus without refined sugar and with whole food ingredients (of course the choc chips contain those things if you use them). I just snacked on some too. I had an orange and some veggie soup for lunch, but was still wanting a little something and that sounded good. I am so glad to hear that you liked it. Thanks for commenting. This looks delicious! I adore Katie’s food blog but you give her a run for her money with this amazing recipe! I have been literally addicted to this ever since you published your recipe (and I got a new, working food processor). I look forward to eating it with an apple or banana everyday for lunch! It is delicious and filling and oh so yummy!! Last week I tipped a couple teaspoonfuls of cinnamon into it and the taste is yummy and a bit different. 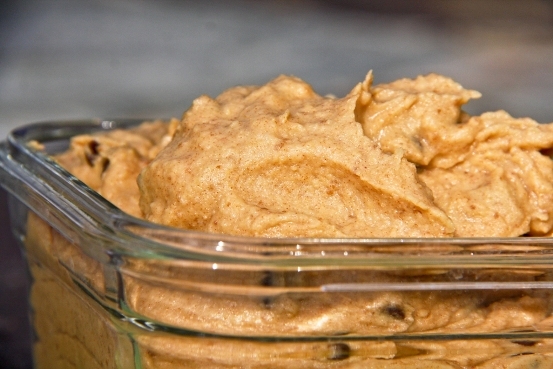 Almost like a cinnamon cookie dough. 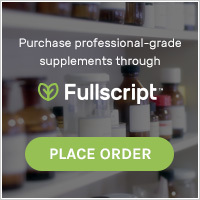 I’m not sure if your dietary guidelines allow cinnamon (or if I am remembering someone else who is allergic to cinnamon) but if you can try it, I recommend it. Thanks again for sharing this amazing recipe – and all of your wonderful recipes and tips!! Hi Jennifer! I am so happy to hear that you have been making this recipe and enjoy it. The cinnamon sounds fantastic. Yep, I eat cinnamon (actually I eat A LOT of cinnamon). If you liked this recipe, I have another one coming soon you will like too. I just finished it today. As soon as I have a chance to write it up I will post it. do you put the water that the dates soaked in as well? or just the dates? Hi Julie…you add the soaking water to the food processor as well. Enjoy! Thank you! 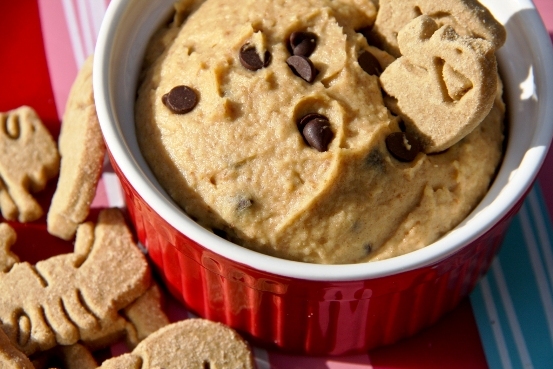 Tastes just like cookie dough! The whole family loves this. 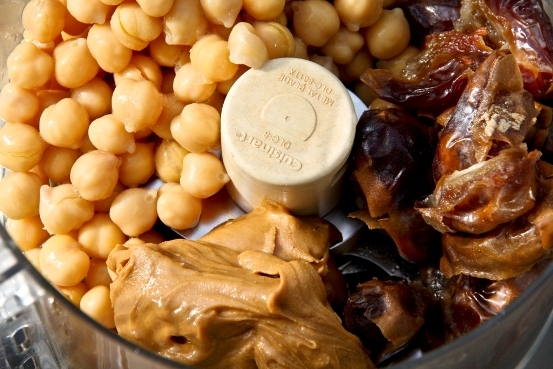 Pingback: Day 19: Awesome Sauce… I mean Awesome Hummus | Helping you live a hippie healthy life!